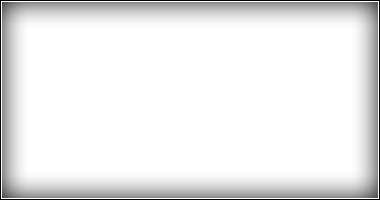 The ultimate in General Purpose Radiography. Features can include Digital Readout Overhead Tube Crane, EV650 Elevating, Four-Way Float Top Table and Matched with a High Frequency generator to meet your imaging demands. Perfect for Digital Radiography installations utilizing DR or CR. 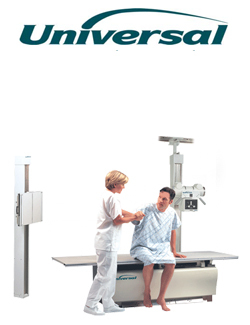 This system features a Free Standing Rotational Tubestand, EV650 Elevating, Four-Way Float Top Table and Matched with a High Frequency generator to meet your imaging demands. Perfect for Digital Radiography installations utilizing DR or CR. 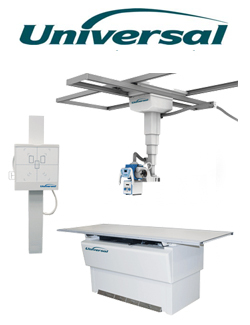 This system comes equipped with a Floor-to-wall / Floor-to-Ceiling, Rotational Tubestand, EV650 Elevating, Four-Way Float Top Table and Matched with a High Frequency generator to meet your imaging demands. Perfect for Digital Radiography installations utilizing DR or CR. 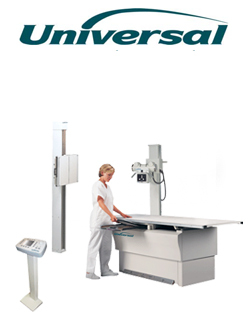 This system features Rotational Tube stand, Pedestal Four-Way Float Top Table and Matched with a High Frequency generator to meet your imaging demands. 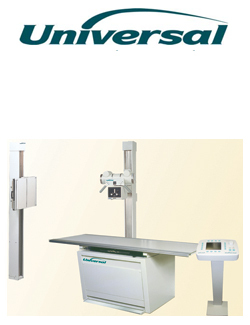 Perfect for Digital Radiography installations utilizing DR or CR.